Another staff shakeup may be coming to the White House in the wake of recent media leaks, presidential counsellor Kellyanne Conway has said. Ms Conway spoke out after multiple outlets reported that a White House aide had made disparaging comments about ailing Senator John McCain during an internal meeting. The comments drew outrage from Mr McCain’s family and supporters, but the administration focused its outrage on the staffers who relayed the comments to the press. “There are all kinds of leaks,” the presidential adviser told Fox News' Martha MacCallum, adding that she had spoken with Mr Trump about the issue earlier that day. “Some leaks exist to hurt, I guess, colleagues, some leaks exist because they disagree with the policies that are being put forth, but none of them are helpful," she said. 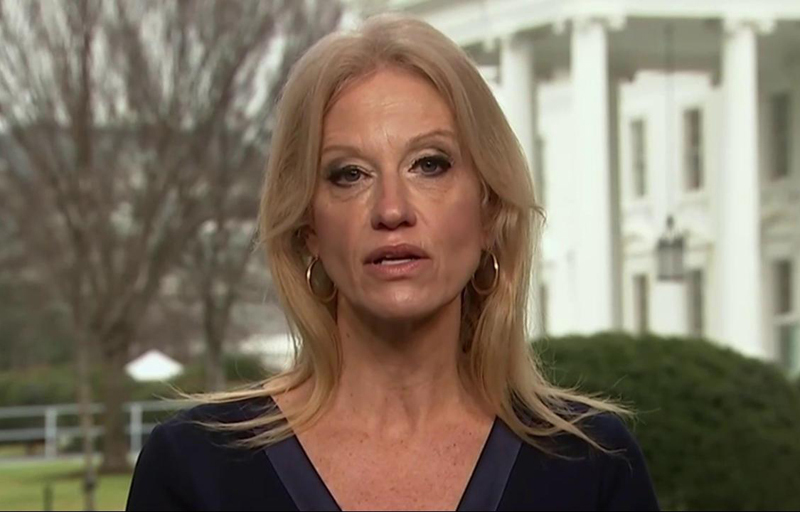 Ms Conway said the leaks were a change from the early days of the White House, when officials would not leak information so much as use the media to “shiv each other”. “That was going on quite a bit at the beginning of this administration and it’s less so now,” she said. The White House did not deny the comments, but also refused to apologise, saying only that the issue was being handled internally. The comments drew criticism from Mr McCain's family, and from politicians on the left and right. Both Republican Senator Lindsey Graham – a longtime friend of Mr McCain – and Democratic Senator Bernie Sanders lambasted the White House for failing to apologise for the remarks. “It is one thing in the White House for somebody to say something crude and stupid and disrespectful about an American hero, it is another thing for them not to apologise,” Mr Sanders told CNN. White House Press Secretary Sarah Huckabee Sanders has told reporters she will not comment on the issue, but reportedly called a meeting last week to berate White House staff over the deluge of leaks.